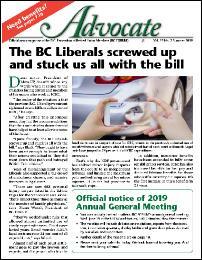 The Advocate is BC FORUM’s membership newsletter, published four times a year. Click here for a listing of Current Events. Click here for BC FORUM News Archives 2009 - 2018.